I am an avid traveler and trekker. The travel bug has completely bitten me and I keep traveling every after a couple of months. I thoroughly enjoy each and every corner of India but I am really spellbound with the mesmerizing beauty of Ladakh. What makes me feel so? Well, the answer is its serene beauty, rustic charm, snow-capped mountains, rugged valleys, turquoise lakes and so on. This is the only place in India where you can capture Sand dunes, water and snow in the single frame of your camera. You can't take your eyes off from enchanted Pangong Lake. You feel proud to see the work of Army, BRO and ITBP throughout the region. I feel every Indian should visit the place once in their lifetime. I am in love with this place since I visited it for the first time in 2006. Since 2013, I am visiting it once or twice a year. In this blog, I am not going to tell you my itinerary or how to plan and what to see etc.You will find many blogs on that. 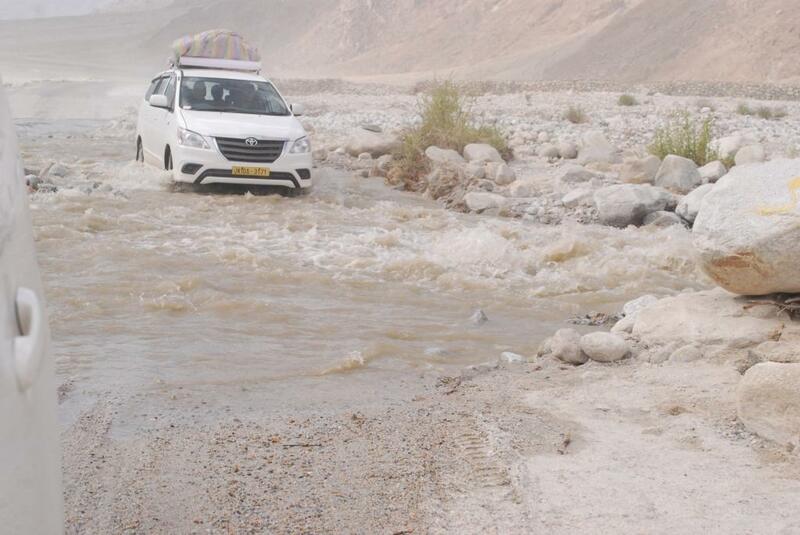 I would like to share some of my challenges faced over the years in different parts of Ladakh. This land has taught me something new on my each trip and I want to share it with everyone who wants to visit Ladakh by themselves or with a tour company. As everyone knows, Ladakh can be reached via 3 routes: 1] From Manali/Simla 2] From Srinagar 3] Flying directly to Leh. Trust me, the 3rd option is the most problematic. Why? 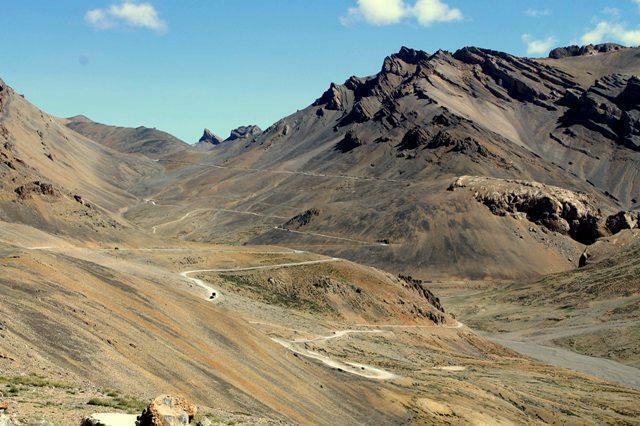 Leh is situated at the height of 11,000 feet above sea level and our lungs are not prepared for such high altitude and its low levels of oxygen. If you come via Manali or Srinagar, you gain height gradually and acclimatize your body. I want to share my experience from 2013 and 2017 trip, where we got stuck near Khardungla pass at around 18,000 feet for 4 hours due to landslides and small avalanches. Yes, you will never imagine what Ladakh trip will bring to you but you have to be prepared. Surviving on the passes for hours without proper acclimatization is not easy. In 2013, all my fellow group members were playing cards seating on the roads when most of the other people were busy struggling with their headaches and vomiting. Some were having breathlessness as well during the trip to Ladakh. (In such cases, even altitude sickness medicines won't help). Then what you have to do to survive in such cases? Prepare yourself for the worse condition is the best solution. 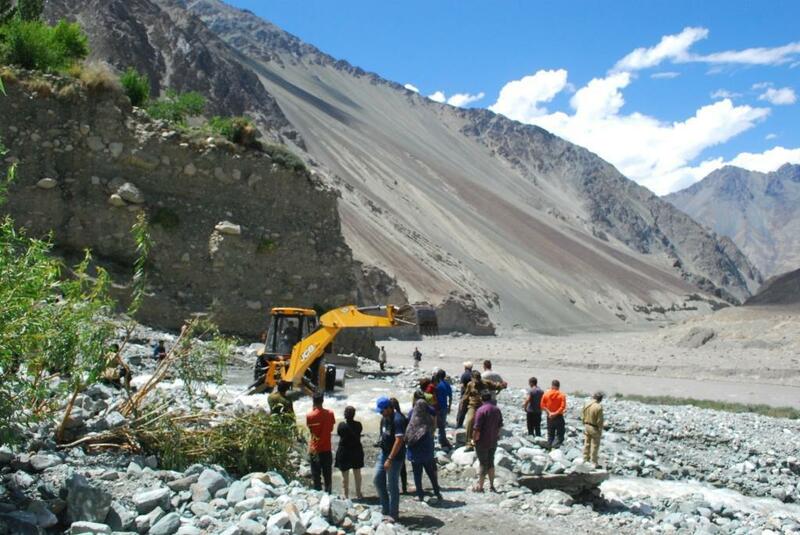 Examine yourself before heading to Nubra valley or Pangong. Remember your body always gives you indications but one has to identify them. Don't travel to high passes if you feel something is not correct with your body. There is always a next time when you can come and enjoy. Prepare yourself for the roadblocks and traffic jams. Don't panic in any situation as Army and locals are always there to help you. Panic attacks always make your BP high. So keep calm in such situation and listen to your local driver as he would the best person to advise. When in Ladakh always start your day as early as possible because as the temperature rises, snow starts melting and the water streams along your way will start flooding making it harder to reach your destination. Make sure to carry some dry food stuff(dates, raisins, chikki etc) and water at the time of Ladakh road trip. In 2014, we spent the whole night on road (again thanks to a landslide) near Tandi en routing Manali to leh. What a night it was!!! In our daily routine, we never get a chance to sleep under the sky full of stars. Many of us saw hundreds of shooting stars in that night. We survived that night because of the dates, chikkis, and water that we were carrying during the road trip to Ladakh. God has showered ample love on this land of lamas, but one has to pay respect. Do not challenge the Nature or it will kick you back anytime and in any condition. The suggestion by "Army" and your "driver" should be considered as the Last word. Your respect for the Army increases when you see our soldiers serve the nation in such harsh climatic conditions. Protecting the travelers is not the primary work of Army, but I have seen people giving all tantrums to Army officials if some route is closed due to natural calamity. Please don't do that, those are the people who consider saving your lives as their motto. Lastly, don't litter the place. Respect the local culture and people. Just leave your footprints and bring back the memories to last for a lifetime. Great blog. It is inspiring me to plan my next trip to Ladakh. 😊Also, kudos to you for writing about the challenges. Many people do not reveal such details. I think these unique experiences make the trip all the more memorable and make me appreciate all the amenities we have in our city life.